The DFS 331 was a cargo glider developed in collaboration between DFS and Gotha. The glider was designed by Dr Hans Jacobs who had worked on the earlier DFS 230 and the design addressed many of the flaws present in the earlier DFS 230 design. The visibility from the cockpit was good, with the entire nose being glazed, and the body was very wide, allowing it to carry light Flak guns and light military vehicles. Contrary to what can be read elsewhere only a single example was constructed which flew for the first time on 30 September 1940. Although the aircraft was flown and tested ahead of the Go 242, development on the type was halted by the RLM in March 1941.
" ...On 27 September 1940 I was ordered to fly Ju 52 H$+BH fitted with glider towing equipment to Gotha where flight testing of a new type was to take place under the authority of a Flugkapitän whose name I no longer recall. There were two airfields at Gotha, one used by the Luftwaffe and the other belonging to the Gothaer Waggonfabrik. It turned out that the Flugkapitän in question had not towed a glider before and when told of my experience (Eben Emael, Drontheim/Norway) put a phone call through to the RLM to suggest that myself and my crew be retained for the flight trials. A telex order confirming this came through and my crew and I were sworn to secrecy and put up in a Gothaer hotel for the duration. On the following day we were taken to view the DFS 331 for the first time in its hangar where it was being prepared for flight testing . The type had been designed and built by a twenty-strong team of DFS Flugingenieure under Hans Jacobs (sic) and was designed to carry up to thirty men. I was then introduced to Flugkapitän Hanna Reitsch who would be at the controls of the new glider. 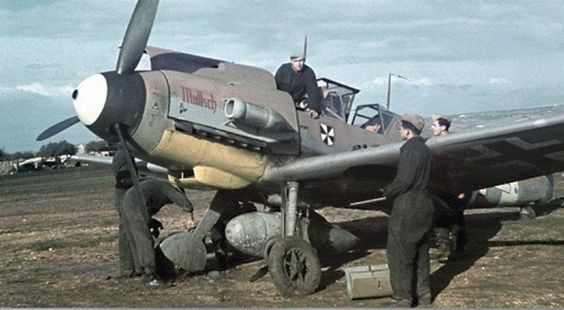 Both Reitsch and the test engineers again questioned me closely on my experiences as a glider tow pilot. My responses seem to satisfy them as did those of my unit. Fine weather the following day, 30 September, saw us make the first test runs with the glider in tow. 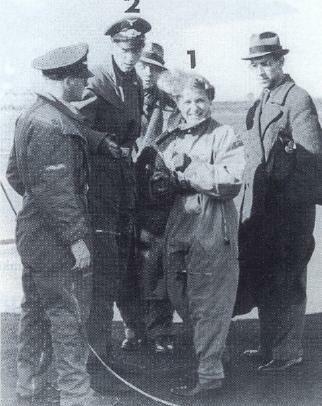 However the glider remained on the ground at that stage - Reitsch ordered us to release the tow-rope as we got airborne. We completed a circuit and after landing prepared for the first flight of the glider itself which took place late that afternoon and lasted twenty two minutes. Everything ran without a hitch. The glider made over one hundred test flights and had very pleasant handling qualities which were confirmed by Flugkapitän Franke from Rechlin. In the meantime the Go242 had made its first flight ( 9 November 1940) from the Gothaer Waggonfabrik works strip - I was at the controls of the Ju-52 tow plane and made two further flights on 9 and 10 November 1940. While development of the Go 242 proceded - as far as I'm aware because loading and unloading operations proved easier - work on the DFS 331 was brought to an end on the orders of the RLM on 24 March 1941..."